Suzanne is an actor, storyteller and educator. She received her Master's degree in Education from the Creative Arts in Learning program at Lesley University in Cambridge, MA. 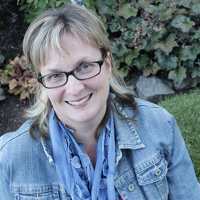 Suzanne has worked extensively as a Theatre Teaching Artist in numerous schools (K-12) since 1997. As a Teaching Artist, Suzanne has worked with Arts in Progress in the Greater Boston area, the CT Commission on Culture and Tourism, Hartford Stage, Hartford Performs and Hartford Children's theatre. Suzanne teaches a summer acting camp at West Hartford Art League and is the Artistic Director for the Noah Webster House "Hauntings" performance each October. As an actor and director, Suzanne has worked at regional theaters in CT, NYC, FL, CA and MA.